There's nothing heavenly here, but it's well worth watching. Angels may wear white, but Xioawen and Mia aren’t angels. The two girls, played with vigor by Zhou Meijun and Wen Qu, respectively, don’t enjoy the kind of hashtag-blessed reality they might dream about. Mia, the older of the two, cleans up at a low-rent love motel that Wen and a friend are brought to by a man who turns out to be the local police commissioner; he’s there for exactly the reason you’d queasily suspect and, we soon learn, does exactly that. 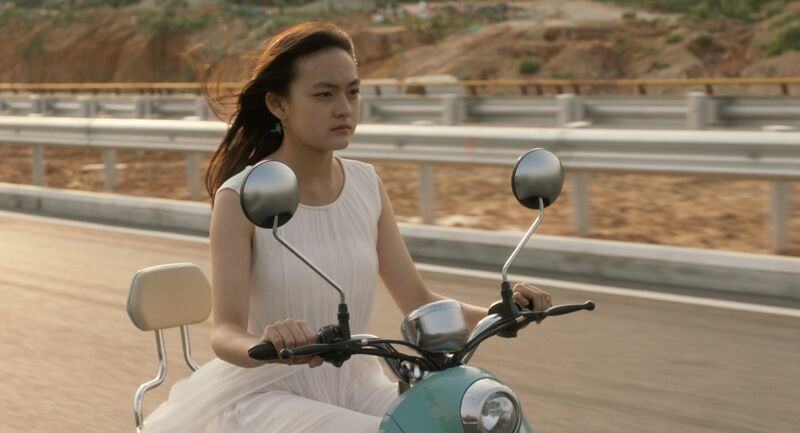 If you weren’t aware that “Angels Wear White” premiered a month before the Harvey Weinstein scandal broke, you’d be forgiven for thinking Vivian Qu’s nuanced drama was made to show the #MeToo movement from a Chinese perspective. The actual assault is never shown, with Qu focusing entirely on the aftermath — a long, drawn-out process that’s no less traumatic than the event being covered up so systemically that it goes without saying this is far from an isolated incident. Qu, who produced the Golden Bear–winning “Black Coal, Thin Ice,” began her latest film’s festival-circuit journey in Venice before making a recent stop in Santa Barbara; in the interim, she won the Golden Horse Award for Best Director in Taiwan. It’s hard to begrudge her that honor, as she handles difficult subject matter with heft and grace in equal measure, giving voice to her film’s victims without defining them as mere damsels. Much victim-blaming follows that fateful night, which Mia glimpsed via security footage, with the adolescent leads offering vivid portrayals of youth being stymied by the supposed adults in the room. Seemingly everyone who learns of what happened to Wen and her friend is more concerned with damage control and shifting blame rather than the girls’ well-being; they’re caught in a vicious cycle with no clear exit. On both the interior and exterior of the local police station are the words “serve the people,” a lofty ideal that nearly every single person in Qu’s film fails to meet; most have long since given up trying. A rare exception is Hao (Shi Ke), the lawyer investigating the molestation — she isn’t above slipping Mia 100 yuan for intel about the night in question, which is nearly ⅕ of what the girl makes in a month. Therein lies the problem: As in several other recent exports from China — the kind that, like “A Touch of Sin” and “Mountains May Depart,” make you wonder how they made it past the state-sponsored censors — “Angels Wear White” brings into relief the bureaucratic corruption and class tension that inform the power dynamics of such situations. Tellingly, the man who carried out this crime is almost a nonentity. Far more present are the complicit underlings, whose actions serve to remind that what happens in the shadows is only allowed to stay that way when those who know about it choose to shield it from the light. “Angels Wear White” premiered at the Venice Film Festival. It is currently seeking U.S. distribution.